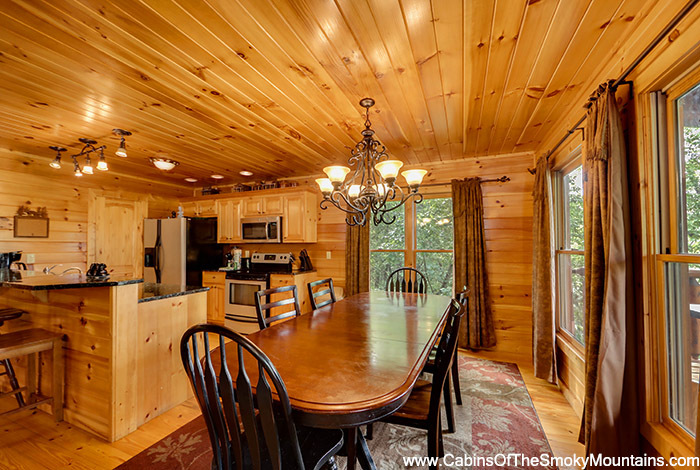 Nestled in total privacy and luscious woods is ‘The Circle of Life’. 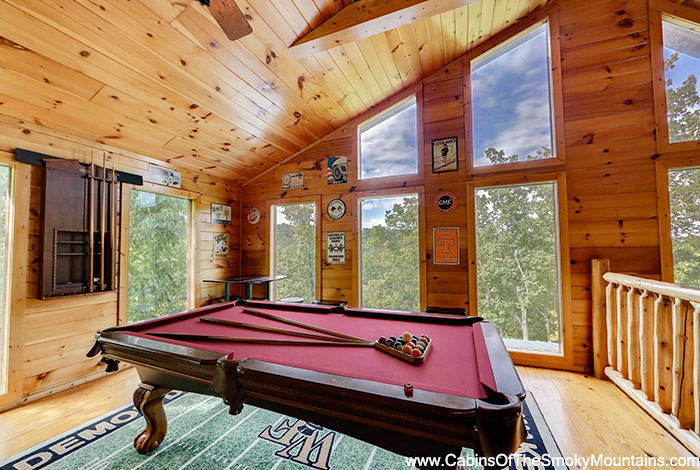 A stone’s throw (<1 mile) from the parkway and all its action and adventure. 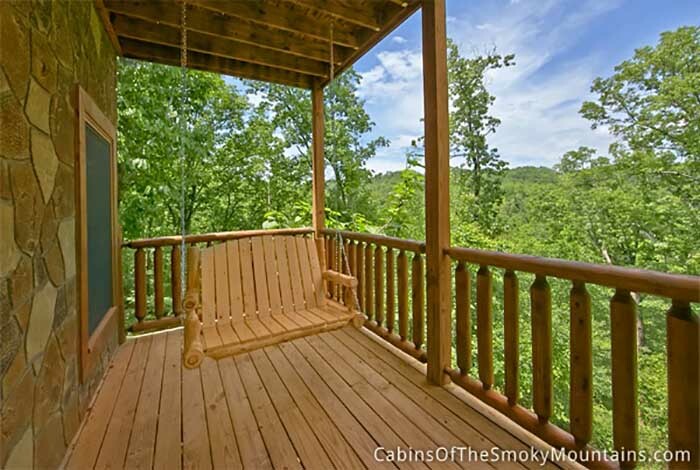 ‘The Circle of Life’ offers luxury along with total privacy and seclusion. 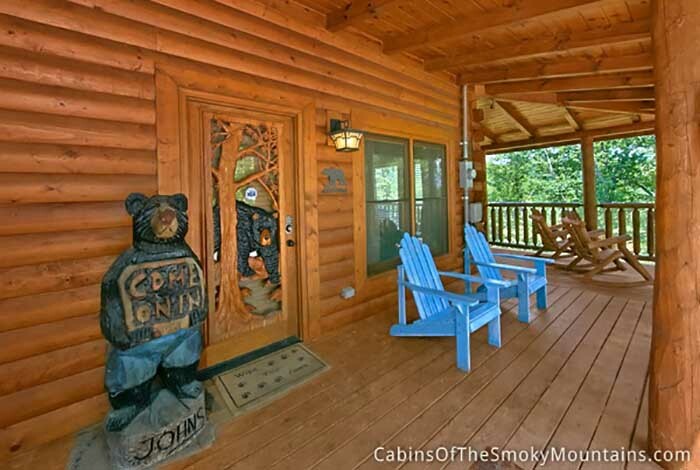 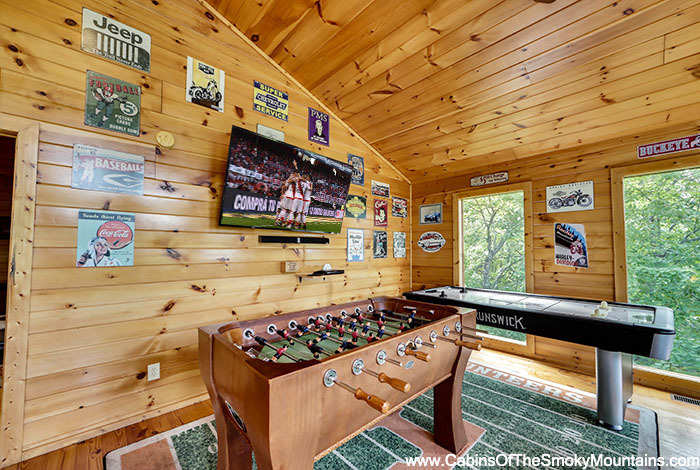 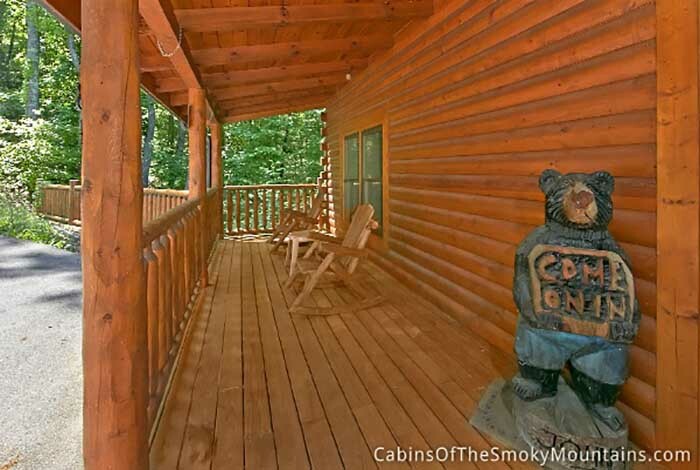 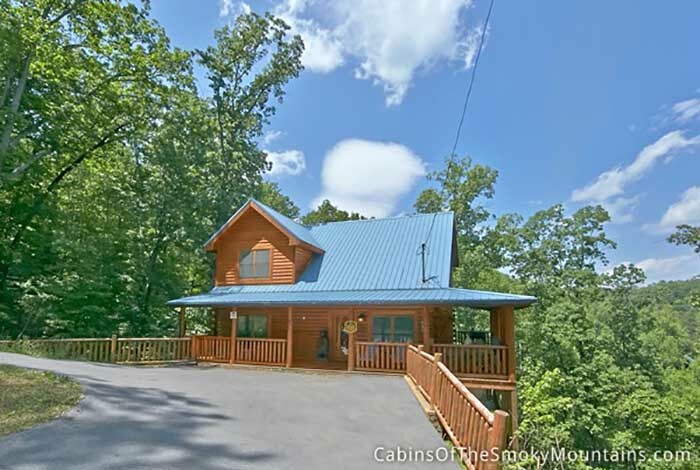 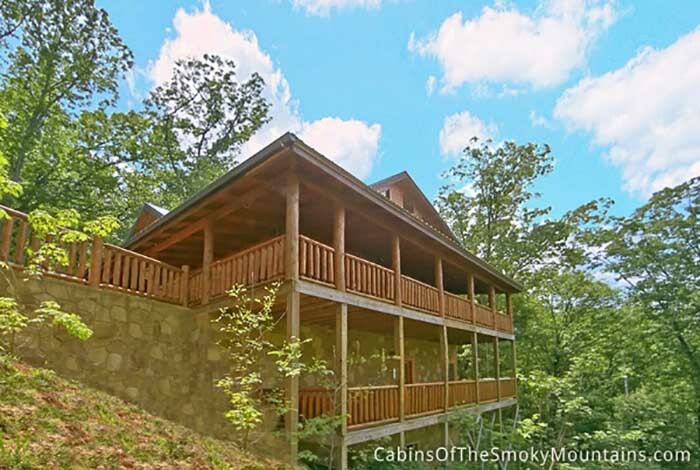 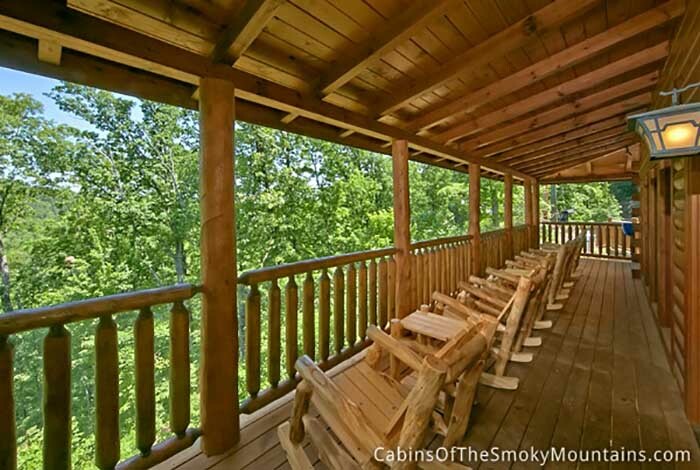 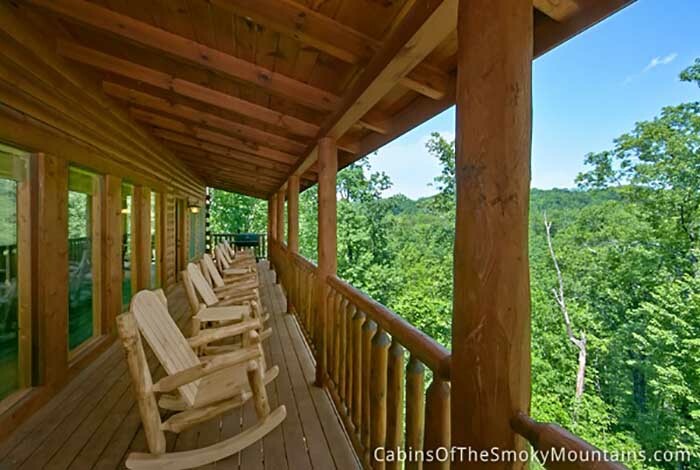 Everything has been chosen with care at this luxury cabin located on more than two acres of private woods. 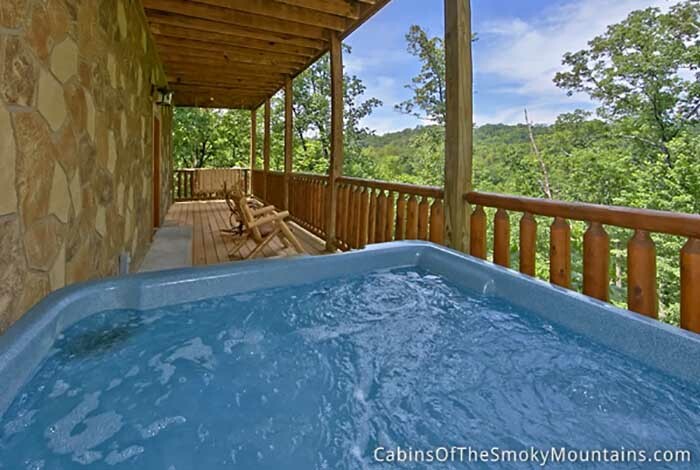 It has everything you could possibly imagine for the perfect escape. 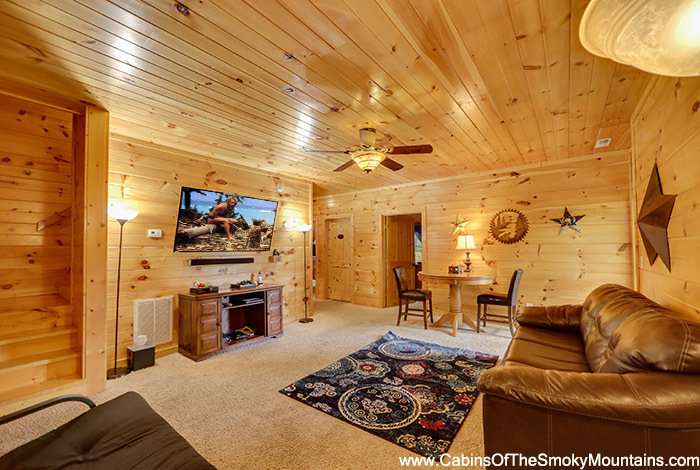 The spacious living area is designed to bring the whole family together. 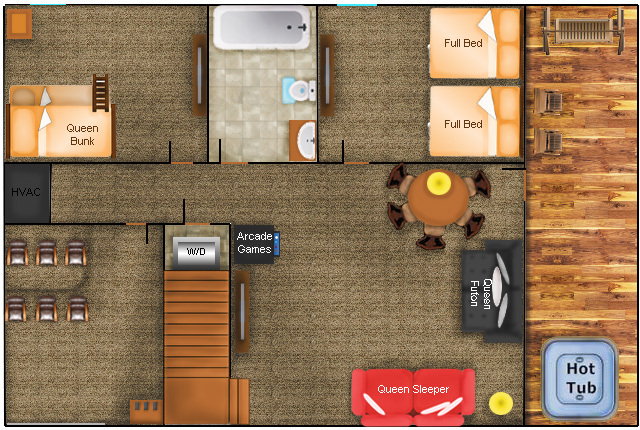 Each of the 5 homely and spacious bedrooms comes with custom furniture and large LED TV’s with all available premium and movie channels. 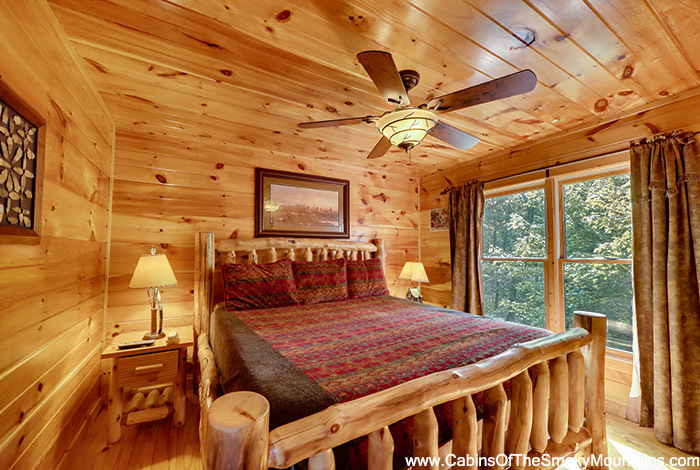 Both bedrooms on the main floor as well as the master bedroom on the top floor have spacious king beds with spectacularly comfortable memory foams mattresses. 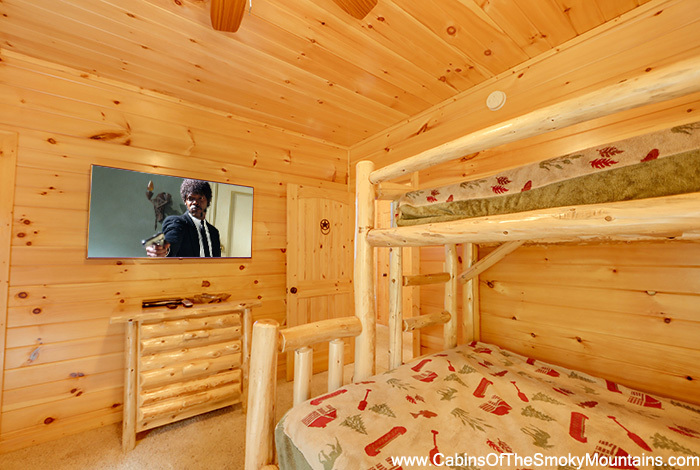 The spectacular master bedroom is tucked away on the 2nd (top) floor complete with a fireplace, private Jacuzzi bath and plenty of privacy. 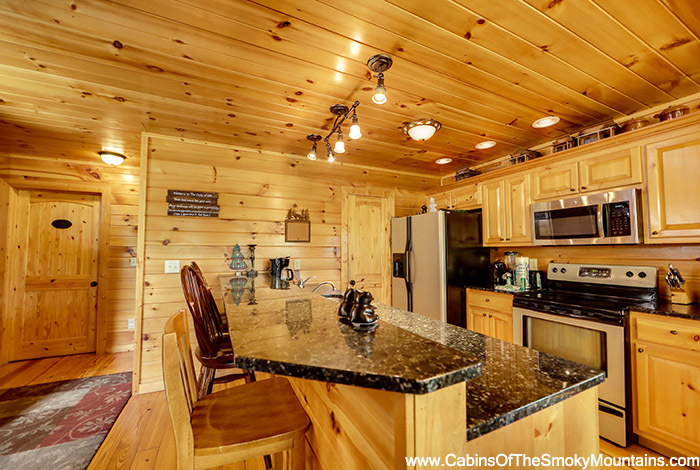 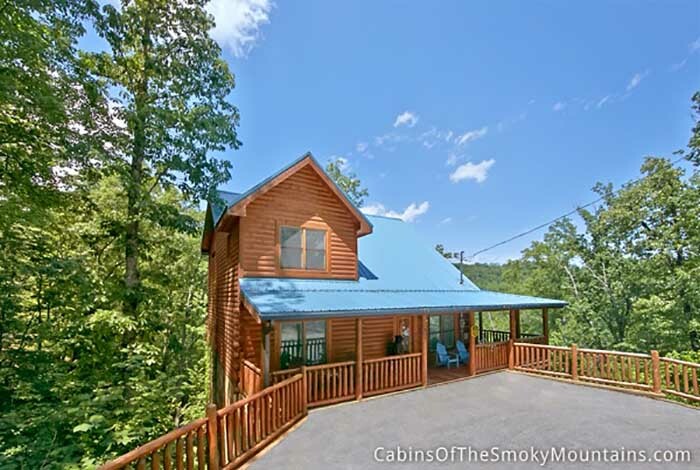 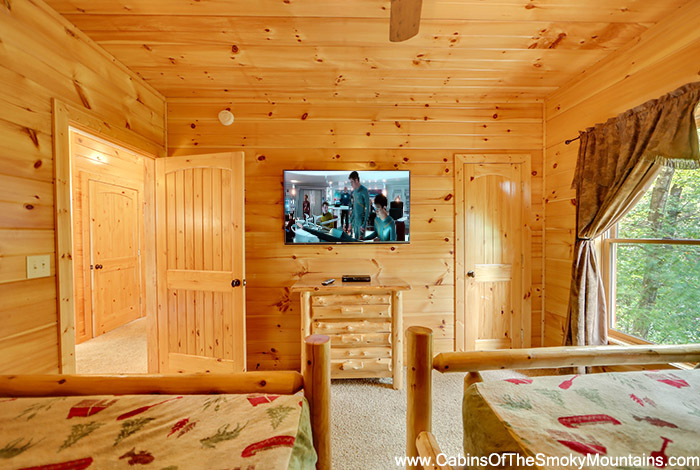 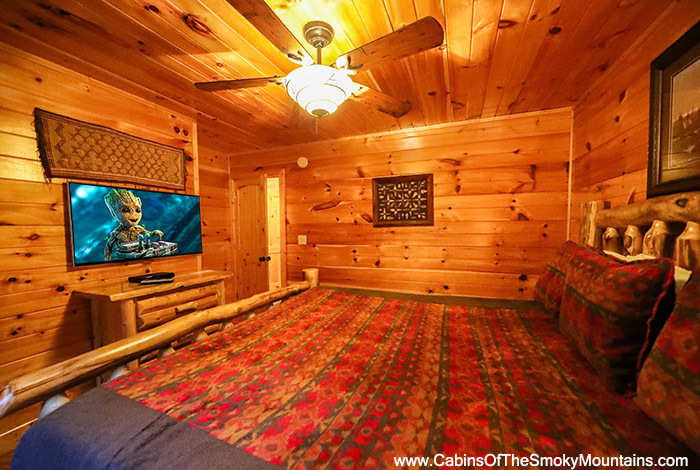 The cabin has excellent high speed internet (charter) with multiple interconnected WIFI routers (Luma) through the cabin for seamless connectivity. 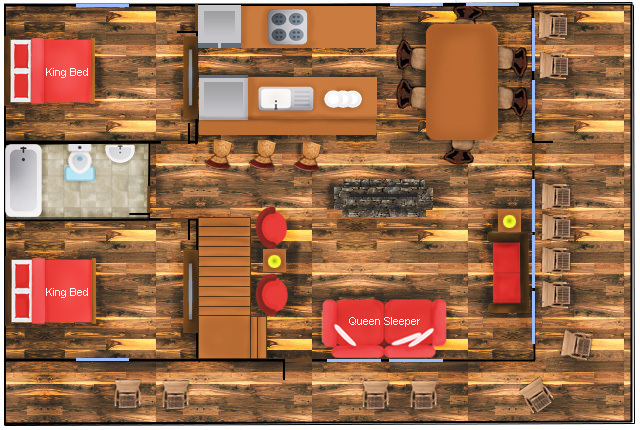 The basement is a complete fun zone with epic gaming battles possible on the latest PS4 console in addition to a PS3, Wii & Xbox 360. 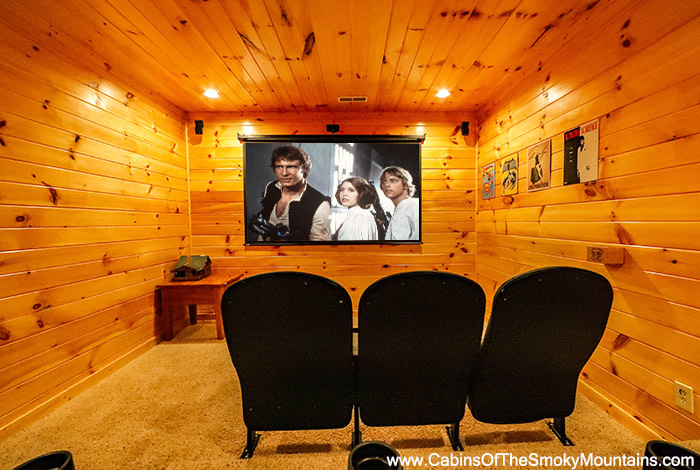 Movies and game-nights will come to life in the home theater room with a state-of-the-art HD projector system and Bose Surround Sound. 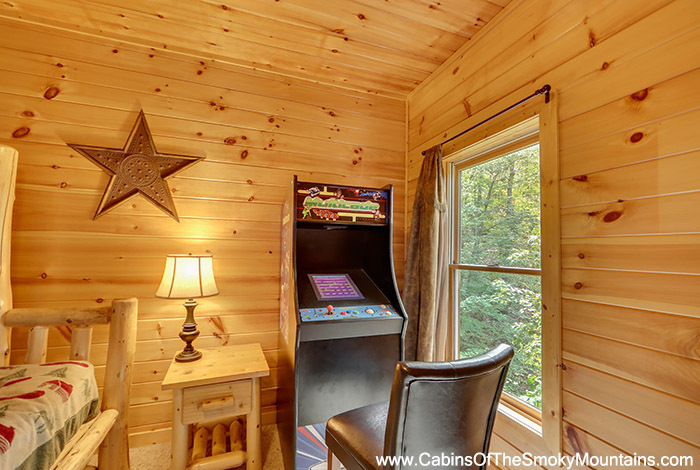 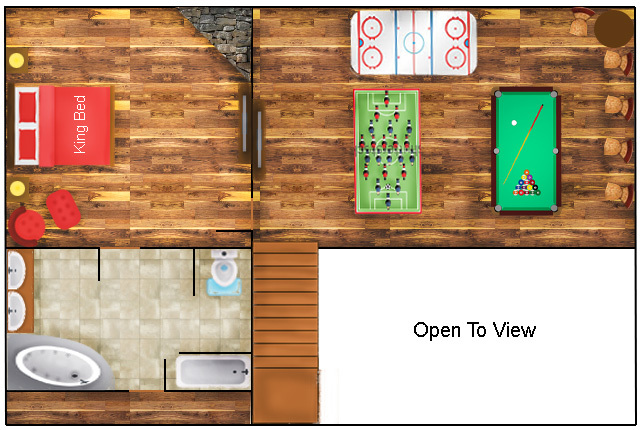 Come and chill in the game room, while the rest of the family soaks in the hot tub. 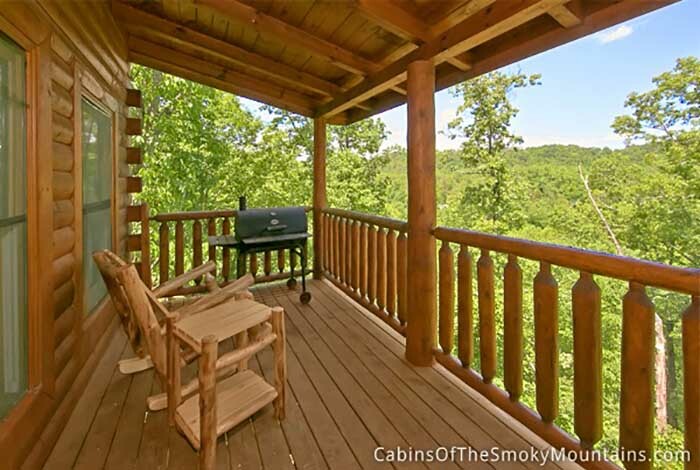 Enjoy some peace and quiet on the wrap-around deck while you grill and hear the leaves rustle and the birds chirp. 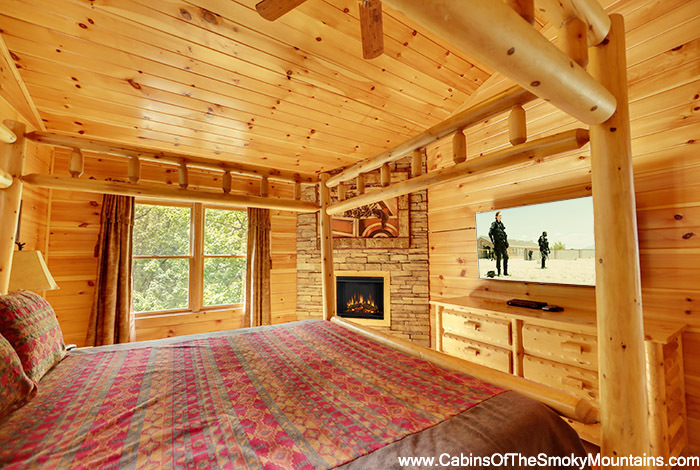 Experience southern warmth and hospitality and create everlasting memories at the ‘The Circle Of Life’.